They did a very good job for my project. I actually liked everything, how they work, the prices, the fact that when they gave me the initial estimate, they were very close to what the final cost actually was. I had a very good experience. They were easy to do business with and very responsive. They were responsive and had fair prices. They were good all the way around, from the quote to the completion of the work. Eric was incredible. He coordinated everything and every person we dealt with was fantastic. All the people he recommended for additional work were perfect. They kept me out of a couple bad decisions too. Overall, the process with them was fantastic from design quotes to project coordination, the follow-up, everything. The whole process was fantastic. I really liked the quality of their people. The people they sent to us were just top notch. We just did a complete remodel and it was one of two processes that I actually enjoyed, where I didn't have to pull teeth and people showed up when they were supposed to. Able Glass Company provides and installs a variety of products for residential clients in Santa Clara and San Mateo Counties. 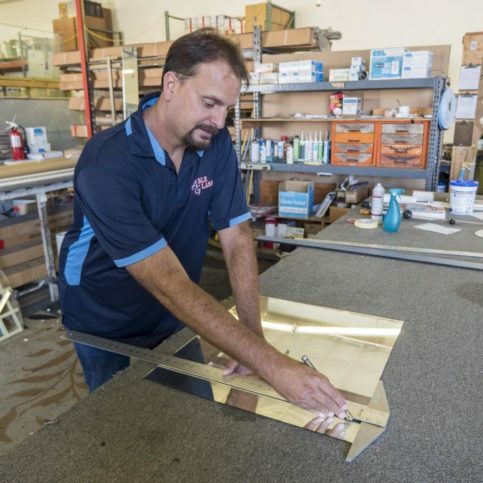 The company’s main focus is window and patio door replacement, but it also offers custom screens, tub and shower enclosures, table tops, mirrors, skylights, and more. 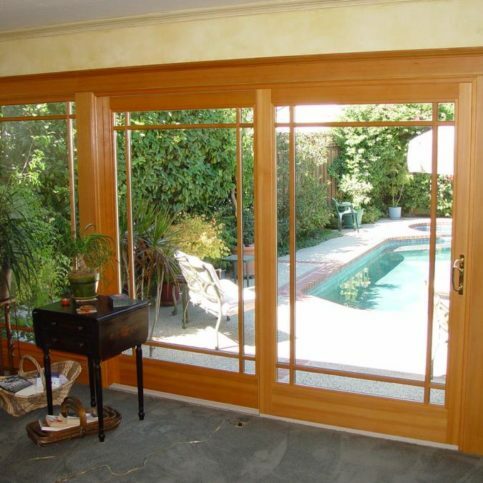 Its Santa Clara showroom carries both retrofit and new construction windows from several well-known manufacturers. Able Glass Company also offers free in-home estimates and conducts comprehensive home evaluations to determine what products will best fit clients’ homes. “Back when I was a kid, there was a handshake. That’s just how things were done,” says Eric Holder, owner of Able Glass Company. Mr. Holder feels uniquely qualified to serve his Santa Clara County and San Mateo County clientele, having grown up in Sunnyvale and having worked in the industry since age 12. The four-man operation he purchased from his father at age 21 is now a company with a staff of 25. 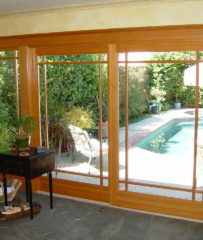 Able Glass specializes in patio door and window replacement, both retrofit and new construction. It carries quality products from manufacturers such as Jeld-Wen, Milgard, Ply-Gem and Simonton. 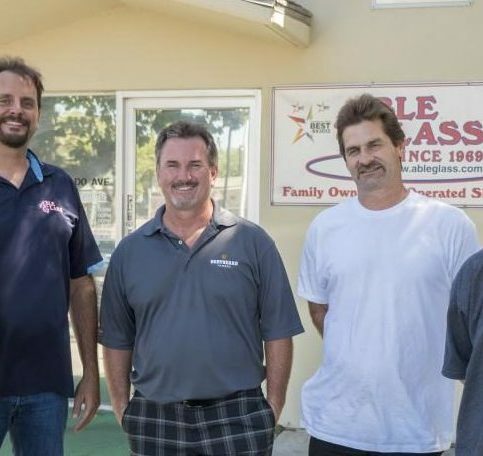 Able Glass and Window’s glazing department specializes in tub and shower enclosures, custom tabletops, mirrors, broken windows, wardrobe mirror doors and much more. In addition, screens can be ordered and replaced. Able Glass is vigilant about keeping on schedule, rarely failing to finish a job before promised. The overwhelming majority of installations and repairs can be completed before day’s end, so customers need not worry about being inconvenienced or their homes being exposed to the elements. Mr. Holder sits on a number of advisory councils for window manufacturers and has completed coursework on energy efficiency in the industry. Unlike companies that try to keep prices low by hiring uninsured subcontractors, Able Glass uses only its own installers. Each one is properly licensed, bonded and insured. Many have been with the company for years. Experience can’t be bought, only earned. In the window and glass industry, says Eric Holder, there is little substitute for experience. Mr. Holder, owner of Able Glass Company, shares a technique for quickly discovering how long a glass company has been around: The contractor license number. Companies with lower numbers date back the longest—and have probably left behind a verifiable track record of good work and satisfied customers. • Beware of contractors who won’t provide references, who require cash, or who insist on up-front payment. • Get multiple estimates in writing. Ask each vendor to separate labor costs from parts so you know what you’re paying for. • Watch out for contractors who “just happen” to have materials left over from a previous job. • Call a building planner or inspector to verify that the quote you got is in the right price range. • If you know anyone who has had similar work done, compare your quote to what they paid. • If a contractor asks you to pull the required building permits rather than doing it themselves, they might not have a proper license. Perhaps most important, don’t allow yourself to be pressured into a decision. Beware of quotes that are contingent on your “acting now.” Reputable contractors are perfectly content to quote the job and then back off and, if you so choose, letting you evaluate other offers. Q: I’m worried about my windows being removed one day and not replaced until the next. Will my home be exposed? A: It’s highly unlikely. We don’t remove a window unless we know we can have it in and secured before we leave for the day. Q: Will my house be a mess? A: No. We’re meticulous about cleanliness and follow-up. If you’d like to talk to former customers, we’re happy to submit references. Q: Do you use your own installers? A: Yes. That’s important. We control the entire process from beginning to end. Able Glass Company installed this bay window with dividers. Eric Holder is a lifetime veteran of the window industry and owner of Able Glass Company, a Diamond Certified company since 2002. He can be reached at (408) 256-3998 or by email. A: Holder’s Country Inn in San Jose. My cousin owns it, so I’m there quite a lot. A: Bacon and poached eggs. 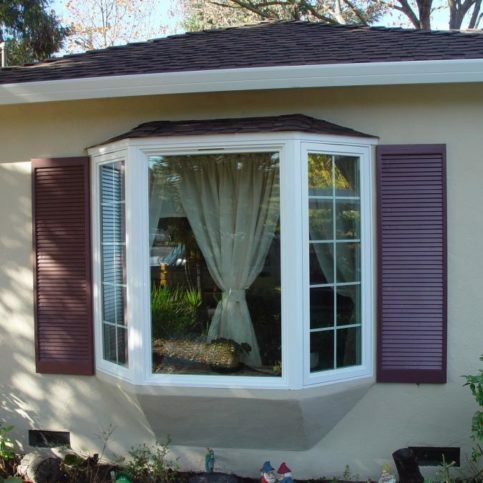 SANTA CLARA — When replacing a window in your home, you have two basic options: installing a new construction window or doing a retrofit application. With a new construction installation, the existing window is removed (frame and all) and replaced with a new one. 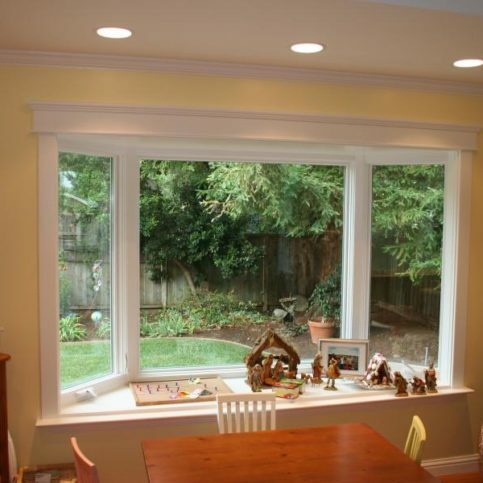 With a retrofit application, the new window is installed within the existing frame. Since the installation process on a retrofit is much quicker, it’s the more economical option. However, since retrofit windows are installed into existing frames, if those frames aren’t perfectly plumb or square, there’s greater potential for issues to arise after the fact. A new construction installation, on the other hand, enables a contractor to make sure every aspect of the installation is performed correctly. Ask your window contractor which installation option will work best for your home and budget. 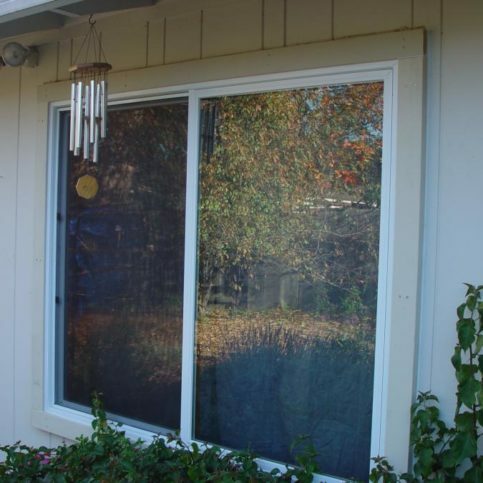 SANTA CLARA — Host, Sarah Rutan: If you’re planning to replace your home’s window frames, it’s helpful to know the full extent of your options. Today we’re in Santa Clara with Diamond Certified Expert Contributor Eric Holder of Able Glass and Window Company to learn more. 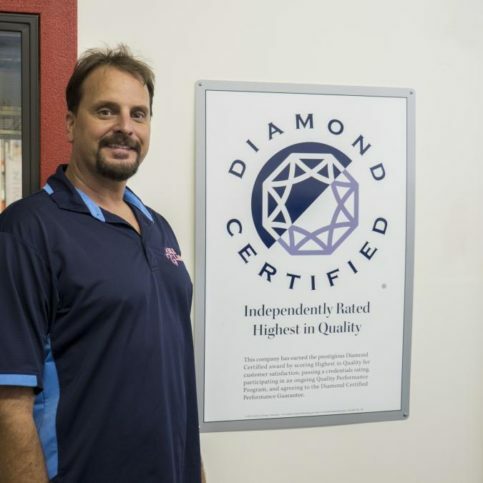 Diamond Certified Expert Contributor, Eric Holder: Hello, today I want to talk to you about the two different types of window frame systems you can use inside your home. When you replace windows you have an option to a nail on frame window which is a new construction window, or a retrofit window. 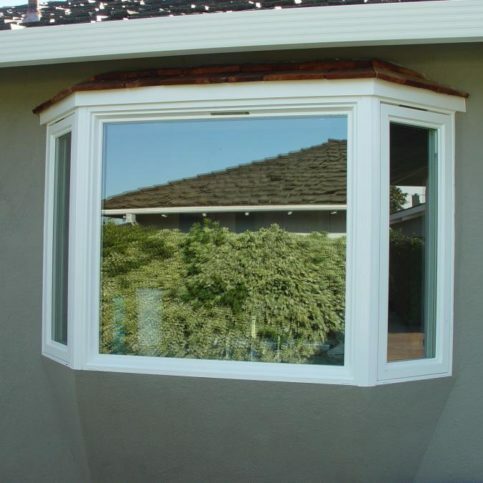 And, the main differences on a nail on frame widow, or new construction window, we are removing your existing trim or stucco to take the window out completely. And, that will ensure you to get a full size window. If you want to save on some labor costs the manufacturers will come up with a means to do a retrofit application. On a retrofit application, we leave your perimeter frame in and the new window will slide in slightly smaller and cover over your old frame. And, the installation process on that is much quicker, so therefore you save on labor costs. There are other options you can do with windows as far as coatings. There’s grids, there’s numerous things that your window contractor should be able to help you with in determining and which method would work best for you. 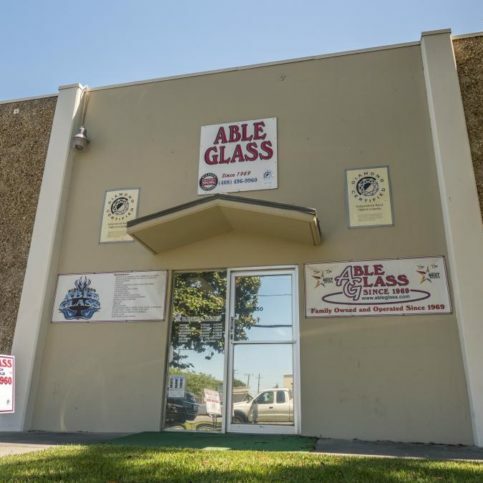 Able Glass Company : Average 9.6 out of 10 based on 350 unique customer surveys of customer satisfaction. They are very professional and my go to glass company from now on. 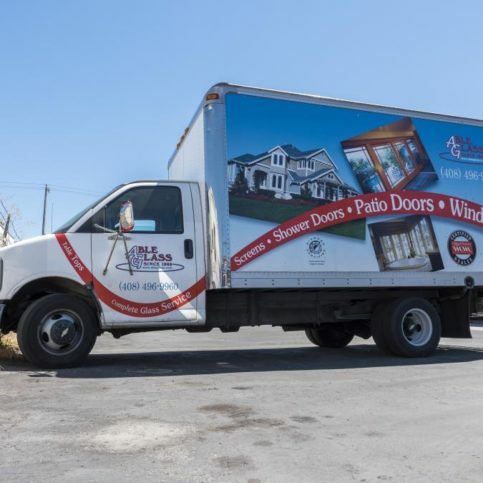 Their professionalism, promptness and overall the whole package, the pricing was reasonable, quick to get out here, fixed it immediately without having to get parts. Very personable, and the people work there provide high quality work. Really friendly, prompt and did the job perfectly. They were dependable, on time and did a hell of a job. They were super clean. They finished quickly and the quality is very good. I would tell them to use them. They are top notch, easy and no high maintenance. They are very professional, very clean, they clean up after themselves very well and it was an overall pleasant experience. They did a great job, It's hard to beat them. I worked with Eric the owner and received very personalized service. He came out and was very professional. He was the only one that would do it. Everyone else wanted us to buy the windows from them and install them, but I had already purchased the windows. Eric was willing to do it. He was fast, efficient, on it and had really good workers . I would recommend them for sure. The quoting process, they listened and treated me with respect and gave good advice. They are very good. I recommend them to everybody. Most of my windows are from Able Glass. They clean up and they are very good. They know what they are doing. 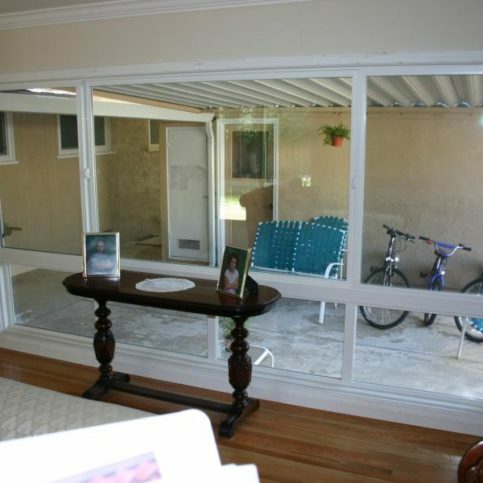 My contractor put in a glass door that was purchased from Able Glass about 15 years ago, but we had problems with it. Had it replaced by Able Glass and had them install it and now it has been done correctly. They did a great job and the price was reasonable. The guy in charge is hands-on, he makes sure everything is done to your satisfaction. They are local and do the job they say they are going to do. The pricing, we dealt with some other companies, but they were not able to do the job Able Glass did and wanted $2000 more. They are very professional. They are really conscientious, knowledgeable, quality work and reliable. They were there when they said they would be. They were on time, friendly, and the quality of the work was great. They just had great quality service. They answer your questions, they are there when they say they will be, and their pricing is awesome. Eric, the owner, was on time and he showed everything in writing and I didn't feel like I was being taken advantage of. He was great.